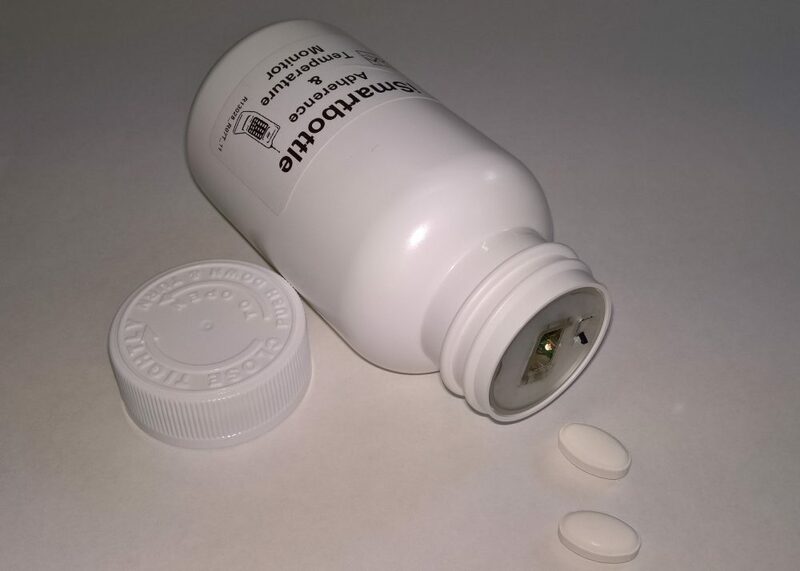 Any standard pill bottle can be enabled to carry out electronic therapy compliance monitoring. In the simplest solution, electronics incorporated in the bottle cap detect when the cap is opened and the date and time of opening are stored. Confrérie Clinique’s most advanced SmartBottle solution however features single dose detection and the detector can be inserted into the neck-finish of any bottle. In this case, each individual pill that is popped from the bottle is detected, and the date and time of each individual dose is stored. Our SmartBottle also detects when a pill is returned to the bottle. It also incorporates a small NFC aerial so that the pill data gathered can be read out using NFC (Near Field Communication) readers or even smart phones with the NFC feature and one of our apps. The data read from the SmartBottle can be viewed locally on the smart phone or NFC reader. This data can also be sent to our compliance database Mediccinet™ for storage or further analysis.